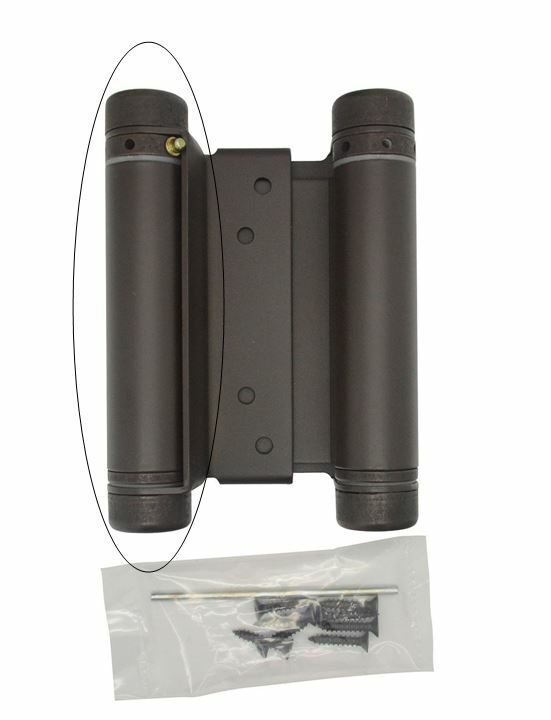 This hinge is a 4" oil rubbed bronze double action hinge that is spring loaded and can be used in many application such as: a cafe door hinge, swinging door hinge, saloon door hinge or a gate hinge. These spring loaded hinges require a total clearance of 7/8”. If your total gap allowance is less than 7/8” then you will need to mortise the hinges.